A job gone terribly wrong. When Zee is blackmailed into humiliating the brooding future king, she never expects to be pulled into a web of international intrigue--or to fall for Rowan's naughty younger brother Cal. Book #1 in the "Dirty Players" series. 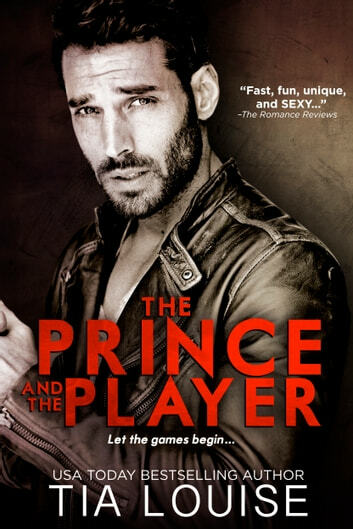 A CONTEMPORARY ROMANTIC SUSPENSE featuring secrets, lies, royal high jinks, scams and double-crosses; breathless, swooning lust, cocky princes, dominant alpha future-kings, and crafty courtiers, who are not always what they seem. Be warned thiS is a to be continued book. Great story and charcters but hate that it continues i o another book. Not fair to readers. I love a novel that can take me away from reality even for an hour or two. Love the contrasting characters. Looking forward to the next chapter. Captivating storyline. I was left wanting more and more! Great story with a little of everything....sexiness, action, humor, and more! Can't wait to read the next one in the series.